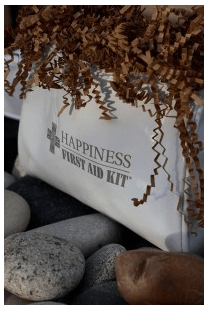 The Harvesting Happiness Happiness First Aid Kit™ is filled with symbolic, everyday objects to guide you (or a loved one!) back to happiness should you ever lose your way. 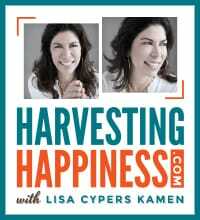 A mirror, chocolate, bubbles, and rose-colored glasses are just a few of the whimsical happiness reminders included. This Kit is part of a fundraising campaign for Harvesting Happiness for Heroes®, with a portion of the net proceeds going to HH4Heroes.org. Actual product color may vary.